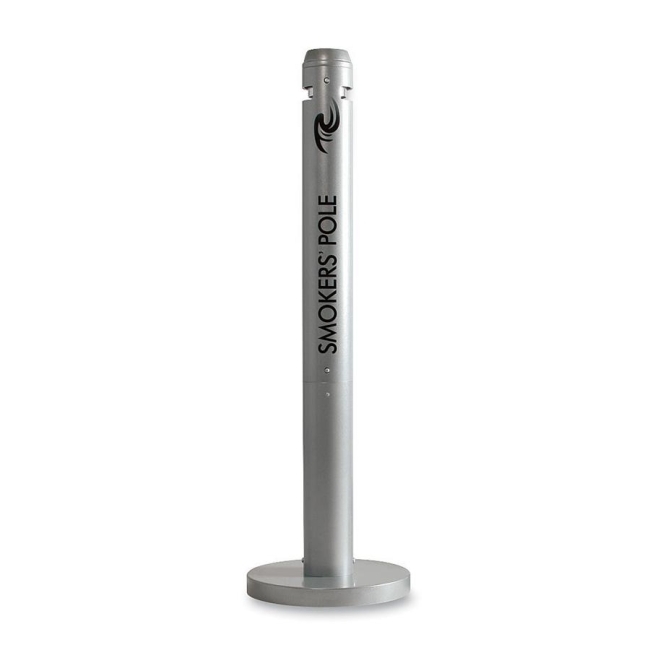 Oxygen-restricting design and durable aluminum construction add to this simple space-saving solution to control smokers' waste. Recessed extinguishing screen prevents ashes from falling to the ground. Easy-to-empty, two-part ergonomic design requires no tools and minimal bending. Weather-resistant black powder-coat finish. Freestanding Smokers Pole offers a 14-1/2" base. ADA compliant. Made from 30% recycled material.